If you were following along at home last week, you may know I spent some time down at the Oregon Garden Brewfest on Thursday and Friday. It was my first time attending the event, and it happened largely because they are making a serious effort to build it up. More about that momentarily. This was the 8th annual Brewfest in Silverton. 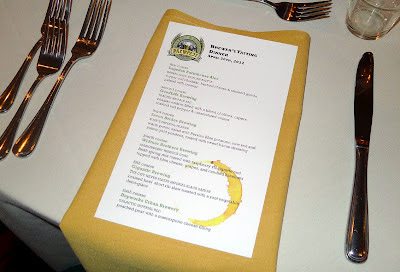 The event kicked off with a Brewers' Tasting dinner Thursday evening...a six course meal paired with six different beers. Then came the main event Friday and Saturday, featuring more than 90 beers and ciders from 45 different breweries. 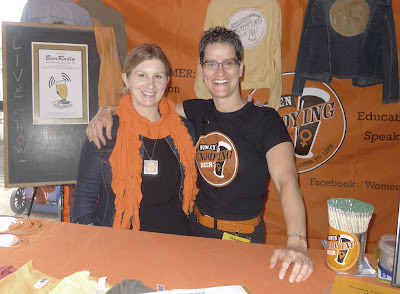 Live music, food, tasting lessons and beer trivia courtesy of Women Enjoying Beer, as well. Sounds pretty good, huh? Truth be told, this event does not have a history of great attendance. Last year it attracted 3,200, a record. It's not so hard to figure out why. Silverton isn't exactly centrally located. It's at least an hour from Portland, less than that from Salem. The thing is, you don't arrive in Silverton by accident. In an effort to boost attendance and event prestige, the Oregon Garden did something smart: they enlisted Chris Crabb, the presiding guru of beer event promotion in Oregon. Chris has run the Oregon Brewers Festival forever and is well known in the beer community. She does her job well, always. The result of the renewed effort? Attendance reportedly hit 6,000 for the two days. That's nearly double what they had last year...the best ever. So the growth trajectory got a bump. I don't know how much larger they want it to be. The pavilion venue, even with an overflow tent, isn't huge. But I suppose they could figure a way to accommodate more folks. The beer list was decent enough. A close review of the 45 breweries reveals that 25 came from Oregon. That number rises to 27 if you include Redhook and Kona, both (Portland-based) Craft Brew Alliance brands. The only other state with significant representation was California with 8. As you might expect, IPA was the most represented style...I counted 20. Why might you expect that? Because, for better or worse, IPA is the most popular craft style at the moment. It's the style people are buying in stores and asking for in pubs. Festivals like this one must have plenty of it. On that subject, Gigantic Brewing hasn't even officially opened yet, but I was impressed by their IPA, which is eerily similar to Boneyard RPM. Gigantic IPA is going to be a huge hit when these guys open up in a few weeks. Get some! The bottom line is this was a well-organized, fun event. Of course, I wasn't there during the peak times, so I may have missed things that didn't go right. It must have been nuts inside the pavilion when things got crazy at night. That's something they'll have to adjust for as the festival grows. The only unforced error I saw, and it may well be due to some entrenched policy at the Oregon Garden, is they were charging $5 for festival parking. Seriously? Most of the folks attending this festival drove significant miles to get there. Why would you greet them with a frivolous fee for parking? When you hit your ultimate attendance goal, start charging for parking...the next year. Well, that about wraps her up. 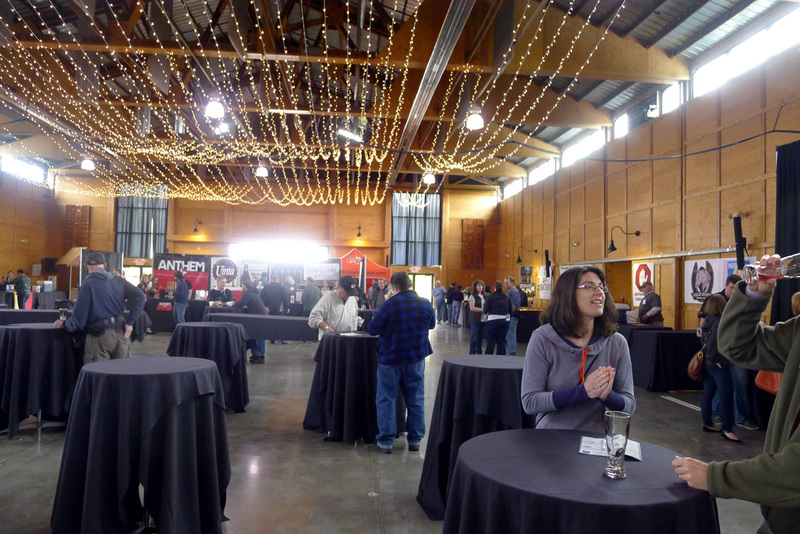 The next Oregon Garden Brewfest is set for April 26-27, 2013.